The Durp Sea. That text is supposed to be a submarine going to the dark zone. That's incorrect from what I understand. I looked at financing a well respected jeweler (100 years in business) last year; a Rolex and Patek dealer among others. The head of their watch division informed me that Rolex changed the policy about a year ago. The new protocol is for every AD to take a picture/scan of the original warranty card, fully filled out with the original buyers info and send it into Rolex. After that, if the warranty is called into action, the owner must be the original buyer listed on the warranty card for Rolex to cover it as it's cross-referenced. Not sure if that's actually being done by "the book" so to speak, but that's the new protocol. I looked into this last year. Per the current wording of the Rolex warranty it's a full warranty and is consequently transferable. The only qualifying language is about it being sold first to an individual (not a reseller). Rolex would be subject to a class action lawsuit if they could be shown to be doing what you say. I wish Jeff were still around - this is right up his alley. Good point and I hope you're right...might just be a marketing ploy they tell the dealers. I just bought a brand new BLNR, over the phone, from a dealer, and had the card filled out in someone else’s name and shipped to them. So, you don’t really need to present an ID when buying. The AD that my company works with has quoted a 2-3 year wait on the SS Daytona and wouldn’t commit to a timeline for the Sea Dweller. They told me that they cannot find them. A three year wait seems pretty reasonable. JP Chestnut wrote: A three year wait seems pretty reasonable. It sure beats the Project 300 watch. Plus you get a real watch, not a stupid toy. I didn’t want a toy, but I also didn’t want to wait. Already started seeing some trusted TRF dealers selling supposedly BNIB but without stickers and card named. Ha it's happening. 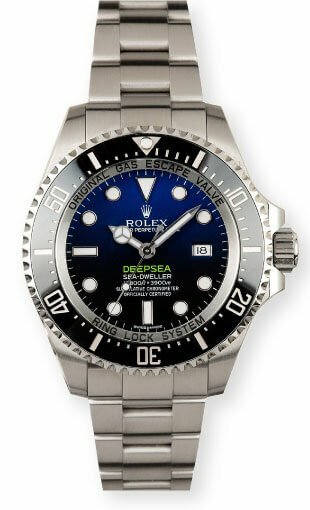 It's hard to argue that this watch is a nice move for Rolex. Sized up but still wearable, and that red line is amazing. But for me, a Sea-Dweller should never have a cyclops. This is going to look fantastic if/when you fix that minor "issue." Finally have an update, and added to my initial post after exploring a LAWW replacement crystal. Appreciated Master Wu connecting me with his experts, and LAWW researching to come up with a solution. Unfortunately, the all-new dimensions for this crystal mean no options yet for an after market version. I thought you already knew that when you bought it. I remember we discussed before how SDC43 and polar exporer2 42mm don't have crystal replacement available. I was optimistic. If a custom crystal can be cut, they would probably be the ones to source it. Just updating the thread to note the dial change to the 126600, after the first year of “anniversary” production. Rolex added a coronet between Swiss Made, same as the DSSD, etc. TSD wrote: Just updating the thread to note the dial change to the 126600, after the first year of “anniversary” production. 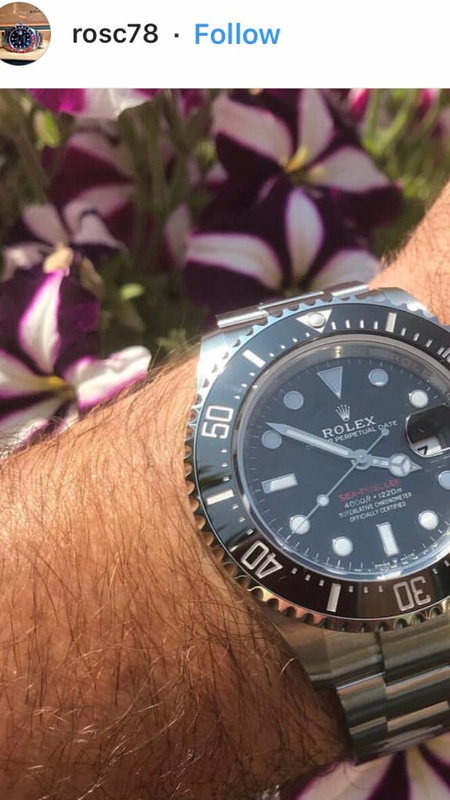 Rolex added a coronet between Swiss Made, same as the DSSD, etc. ....because they don’t have enough coronets on the watch. Most have 9 or 10. This new one goes to 11.